I'll admit that I often overlook the beauty and attractions around the Houston area. As if common, we take for granted what we see every day in addition to getting into a routine of day to day life that we do not think to even visit the fun things around our home cities. For example, I never think to go to our local museums and we have a ton of great exhibits! It's literally been 13 years since I've stepped foot into our art museum. *GASPS* Do you find this to be true for you as well? After my recent weekend trip with my cousins, my brain started thinking of other places we can go and do around our beautiful state as a girl's trip (or couple's trip) as well as ideas of things around our city. I figured it's best I split this topic into two parts so be on the lookout for part two which will expand upon ideas for weekend trips in Texas. Today I'll focus on staycation ideas in downtown Houston only. Later I'll share ideas for around Houston and Galveston areas outside of downtown. If you're not from Houston, then clearly this would be a mini vacation for you to come here. =) And we all say, "Welcome y'all!" 3. Hotel ICON - this hotel appeals to me simply because it's historic and oh-so-pretty. It's on the other side of downtown from the first two, so you'd be closer to(alot of) different restaurants and bars within walking distance but give or take your familiarity (or fearlessness) you'd likely still want to Uber or cab it to the theater district or to games/concerts at Minute Maid or the Toyota Center. The lobby itself is a must see as it used to be a bank and still has the walk in bank vault, as well as the bright red accents to the chic decor with hints of Texas charm. Even if you don't stay here I'd suggest stopping by for a cocktail. I suspect you'll enjoy the photo ops. 10. Spindletop - only if you want to see the Houston view in a revolving dining room. The food is so-so in my opinion, but worth doing once. 1. Ibiza - excellent fish, kale salads, scallops, mashed cauliflower, and great wine prices. 2. Reef - excellent fish options. 3. Downhouse - great brunch and dinner options, nice patio and crafty cocktails. 4. Uchi - upscale sushi experience that is hella-pricey but soooo delicious. Great Brussels sprouts also (but Ruggles Black Brussels sprouts are even better). 5. Brenner's Steakhouse on the Bayou - good food and drinks, happy hour at the Blue Bar outside on the patio is beautiful. 6. Cyclone Anaya's - Tex Mex food, great food and margaritas, great queso. 7. El Tiempo - Tex Mex food, great queso and green sauce, and people watching. 8. Ninfa's on Navigation - Tex Mex food, great patio and margaritas. 9. The Fish - good sushi and reverse happy hours some nights. 14. Brasserie 19 - my favorite burger ever, excellent fish & scallops, great wine bottle prices, and I can take or leave the crowd depending on my mood but you may also be highly entertained by it to say the least. 15. La Griglia - good Italian and roasted chicken. 16. The Kitchen at Dunlavy - good food for breakfast, lunch, or brunch. Not open for dinner which is a shame because HELLO chandeliers. 17. Ula's - we were surprised how great the food was, portions could have been bigger but the flavors were great and they have a live guitar player (at least they did when we went). 18. Coltivare - Italian and American, herbs and some veggies are grown in a garden next to the patio. 19. Patrenella's - Italian and the cutest place in my old neighborhood (literally). The owner built a restaurant out of his mother's home and has added on/expanded. Plus he grows his herbs and vegetables in the back. 20. Ruggles Black - saved the BEST for last. I love this place more and more every time I go there. They have Paleo and non Paleo items, every single thing I have tried leaves me craving more of it, the desserts are out.of.this.world. and they have Paleo desserts as well. The inside and out are so pretty to with the hanging lights and fire pit outside (when it's cooler out). Love, love, love this place. It's a 10-15 minute drive from Downtown, but I had to include it. 1. Theater, plays, and symphony - we have a great theater district! 3. Eating, eating, and more eating. 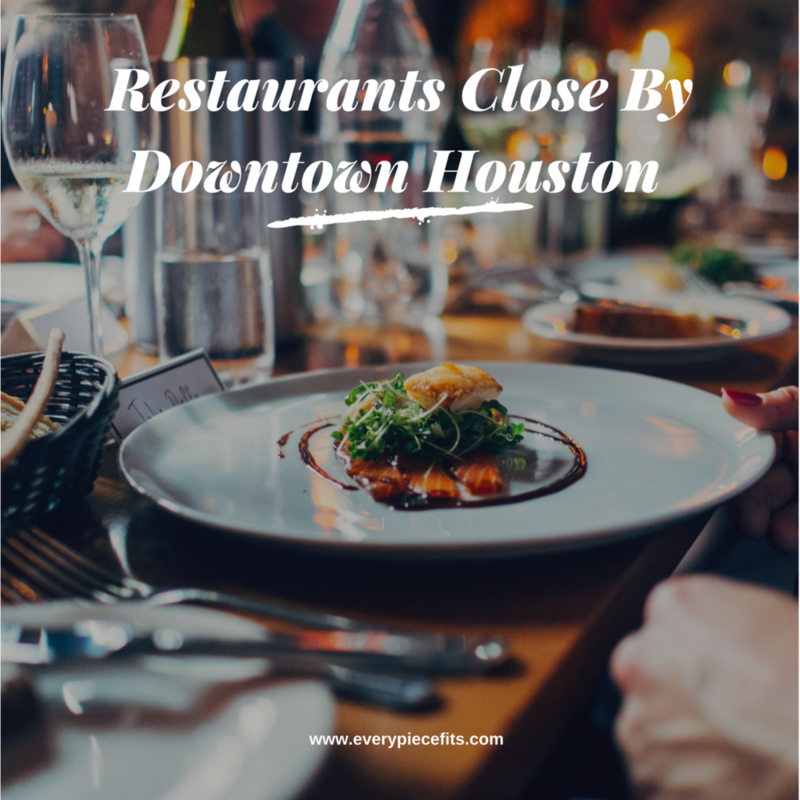 Houston has a vast array of multi-cultural restaurants. 11. Museums of all kinds: natural history, natural science, art, children's, etc. You can check out this great site to see what is happening should you plan a visit or staycation. I hope you enjoyed these ideas. I was initially writing with the idea of a girl's weekend in our home city, but you can definitely expand upon this for a couple's staycation or mini weekend vacation if you're coming in from out of town. =)) What are your favorite things to do or places to eat in Houston?